Once a Santa Barbara resident, Carl Oscar Borg’s life was the epitome of the “American Dream.” He was born in Sweden in 1879 and came to America as a young man in 1901 where he worked a number of odd jobs before acceptance into the art community. Mostly self-taught, Borg would become one of the foremost names among early California artists. 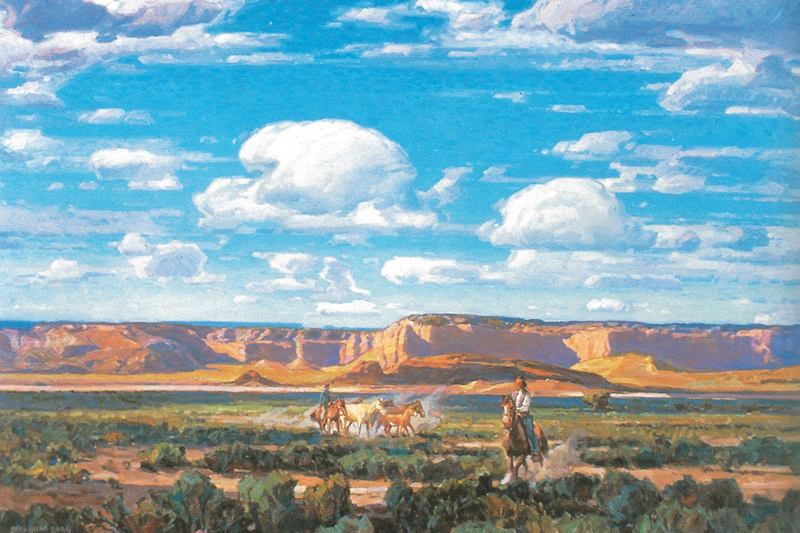 This collection of paintings, including seven never-before-exhibited, reflects his passion for the American West and Southwest, where nearly a century ago, the artist was commissioned by the University of California and the U.S. Government to record the native inhabitants. It was through this work that he developed a deep understanding of the Navajo and Hopi peoples, who granted him unusual access to their communities. Equally skilled in all mediums, Borg created a body of work celebrating the majesty and spirit of the American West.